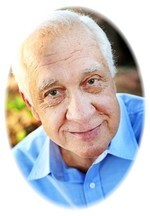 Kenneth Robert Nance went to be with the Lord on Thursday, February 14, 2013 at the age of 71. He was born October 1, 1941 in Mt. Carmel, Illinois to her parents, M.J. “Jay” and Leona (Pike) Nance. At the age of 6 months, Ken’s family moved to Oklahoma City, where he later moved next door to his future wife, Barbara. Ken and Barbara both were members of the Capitol Hill High School Class of 1959. After earning his bachelors, Ken then earned a Juris Doctorate from Oklahoma City University. Ken served in the House of Representative from 1968-1978, after which he focused on his law and lobbying practice. This year would have marked his 50th consecutive legislative session at the state Capitol. On August 31, 1963, Ken married the love of his life, Barbara Sue Hennessey and together shared nearly 50 years of marriage and raising their three boys. When Ken wasn’t working, he could be found enjoying going to as many of his grandson’s soccer games as he could, going out to dinner with friends (aka: ‘the group’), watching his Western’s and trying to get to a casino. To send flowers to the family of Kenneth Robert "Ken" Nance, please visit our Heartfelt Sympathies Store.